order for you to get a glimpse of these amazing places you had to visit your local library and pray that they had some resources on them. Today all you have to do is hop on your laptop, tablet, or smartphone and you can travel the world without leaving your couch or classroom. In August of 2013 I started working on creating my global project - the "Global Digital Scrapbook". I have gone to several conference sharing how I created my global project. I was suppose to be holding a workshop at ISTE this year helping other educators start creating their own global projects. Due to lack of people signing up for the workshop my session was cancelled. I would still like to share with you some resources on the topic. I have created a group in Edmodo on Creating Global Projects. I encourage you to join the group if you are interested in creating a global project or if you would like to connect with others and participate in their global project. Once you click the link to join the group I will have to accept you. In the group you will be able to post your questions, ideas, or ask for help. I have also created folders with resources and tools I have used in creating my global project. If you need need or have questions please feel free to connect with me. This year I participated in the Walk Kansas challenge. I was hoping participating in this challenge would help keep me motivated to walk everyday and to help me prepare for the 5K fun runs. I also purchased a Fit Bit to keep track of the steps I take along with my activity and sleep. Having the Fit Bit has helped me see how active I am throughout the day, which has helped me a lot in staying active. I can also prove to my husband that his snoring is keeping me awake, I can even graph it for him. A passion of mine is photography. I use to have my own portrait studio, but closed it to be mom 24/7. I mainly do photography for myself now. During the Walk Kansas challenge the organizers had a photo contest, which of course I just had to enter. They were looking for photos to use on their website and or newsletter to help promote walking. 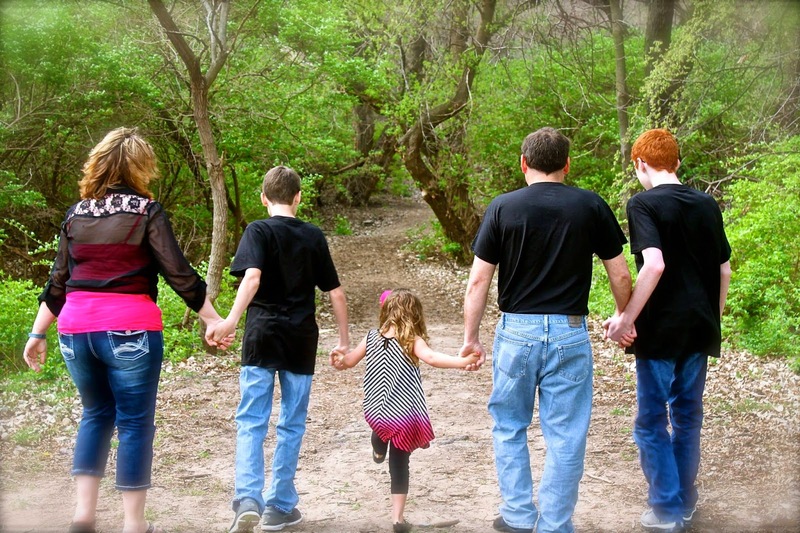 I submitted a photo I took of my family walking down a trail. My photo was selected, which really made my day. Walking at least 30 minutes a day helps your body in so many ways. I encourage you to get and and walk at least that long. Soon you will start finding yourself walking just a little bit more. You do not have to walk fast or even jog. Take your time enjoy the scenery and the fresh air. Walk with your dog and or family when you can. To take your walking to the next level enter a 5K fun run, the money goes to a good cause and plus you got up and walked. The Walk Kansas challenge lasted for 8 weeks, I was averaging 50 miles a week. My team ended walking 527 miles which is all the way from Kansas City,Kansas to Limon Colorado. Not bad for someone who in the resent past couldn't walk very long without having to stop and catch her breath. We walked 527 miles, From Kansas City to Limon CO.
to participate in a 5K fun run. Since I made that goal I have participated in 4 separate 5K fun runs. Now keep in mind for most of my adult life I wasn't physically able to walk very far without having to stop and catch my breath, so for me to attempt to met this goal I had to work on it. Another goal I had set for myself was professional and personal all at the same time. I am that quiet person that sits and listens to people. I've been that way my entire life. When I started my career in education I have been nudged to share my knowledge and experience with tech ed. The very 1st presentation I did that wasn't for my school district was in 2004 for the Summer MACE conference in Kansas City. Ever since then I have presented on and off, mainly for the school district I worked for. 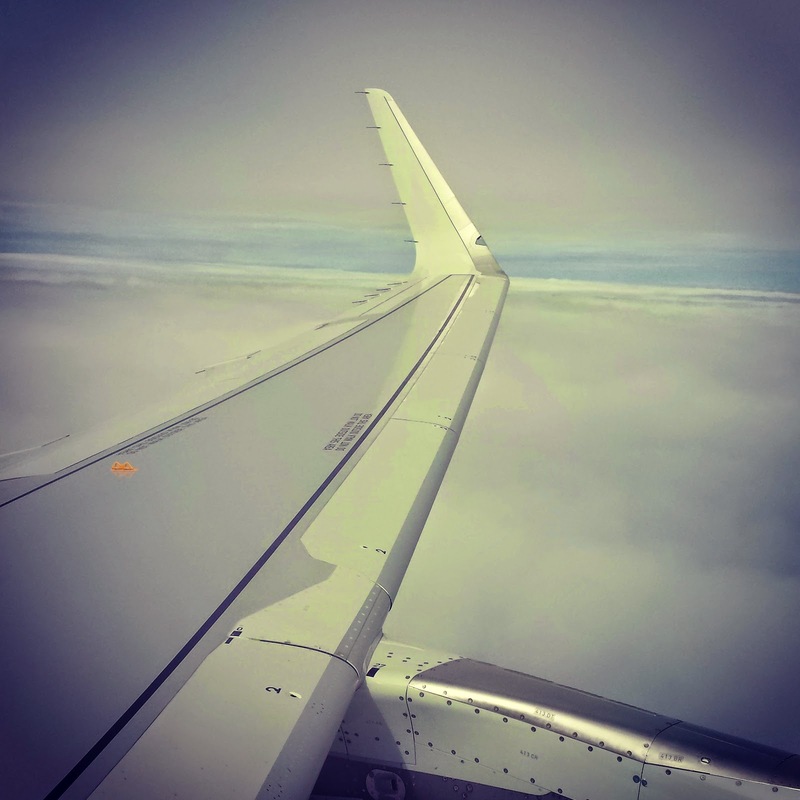 In Spring of 2013 I decided that it was time that I reach for the stars and inspire more than just my friends and colleagues, so I started submitting presentation and or workshop proposals for variety of conferences. I stepped outside my comfort zone and reached as far as I could. I figured even if I missed the star I was aiming for that I would land among some amazing ones. I submitted a proposal for a workshop for ISTE. I thought to myself even if my proposal didn't get accepted at least I tried. I remember the moment I received the email in December from ISTE. I was so nervous, excited and a wreck all at the same time. I took a deep breath and opened the email. I ran through my house yelling, jumping up and down all at the same time. My husband had literally thought I had lost it. My proposal had been accepted, and I was on cloud nine. My workshop for ISTE 2014 on Creating a Global Digital Scrapbook has been canceled, it was supposed to have taken place on July 1st. I have mixed emotions about it. I understand that they need a certain amount of people to attend the session to make it worth everyone's while and to pay for the room. I am still excited and humble that my session had been picked. It isn't every day one can say that their session was approved by ISTE. ISTE was just one of a handful of proposals that I sent in that had been accepted. For the 2013-14 school year I have been honored to present at Podstock 2013 & 2014, FETC, iPadpalooza, MACE, and webinars for SimpleK12 and K12OnlineConference. I even attended and presented/lead sessions at edcampKC and edcampKS. My family along with friends have encouraged me to continue to reach out and inspire other educators. 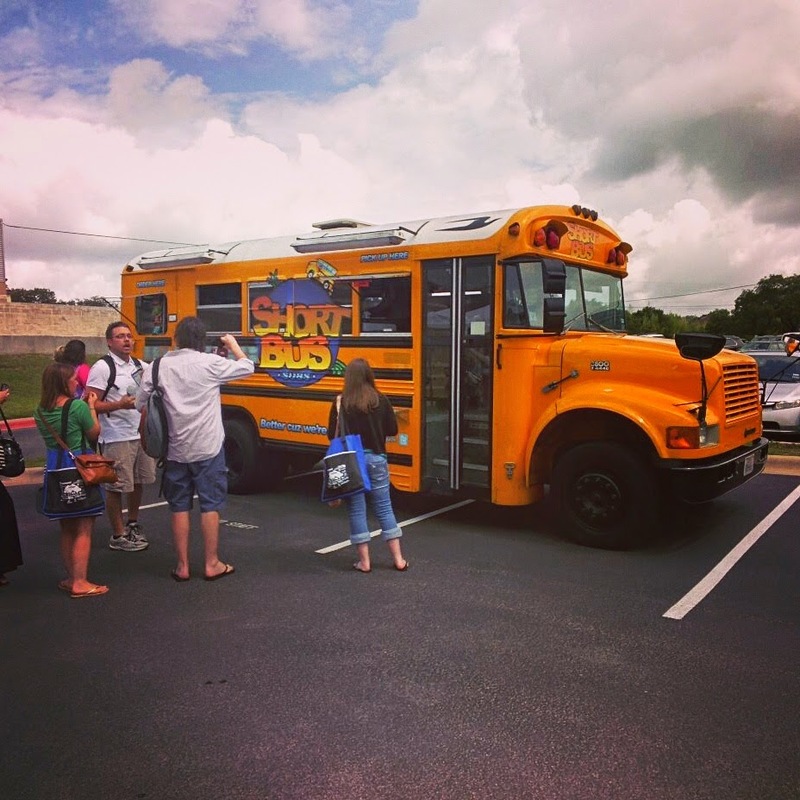 If you plan being in the Atlanta area for ISTE and you would like to connect face to face give me a shout. I have been told that I need to hang out at the Bloggers Cafe, so you may find me there. I will be the quiet person wearing Google Glass taking in all that ISTE has to offer. My goal is to connect and share as much as possible while I am in the area. Teachers learning about Global Projects. 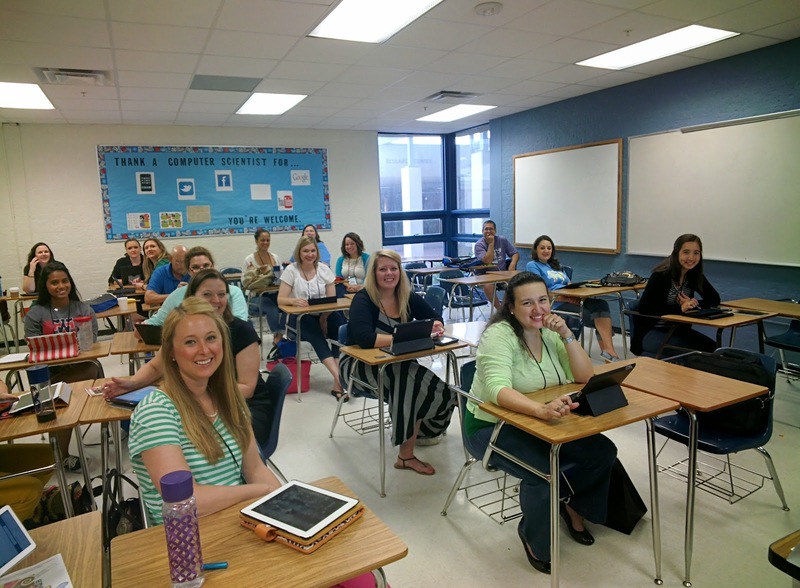 I had the privilege to present and attend iPadpalooza in Austin Texas at the Westlake High School. The crew, volunteers, presenters, and attendees were all so great. I really enjoyed attending this conference. I met some wonderful people, attended some inspiring session, had amazing food, and listened to some great tunes. The conference was not just for the local Texan educators, there were several from Canada, Australia, Washington DC, and even little old me from Kansas just to name a few. 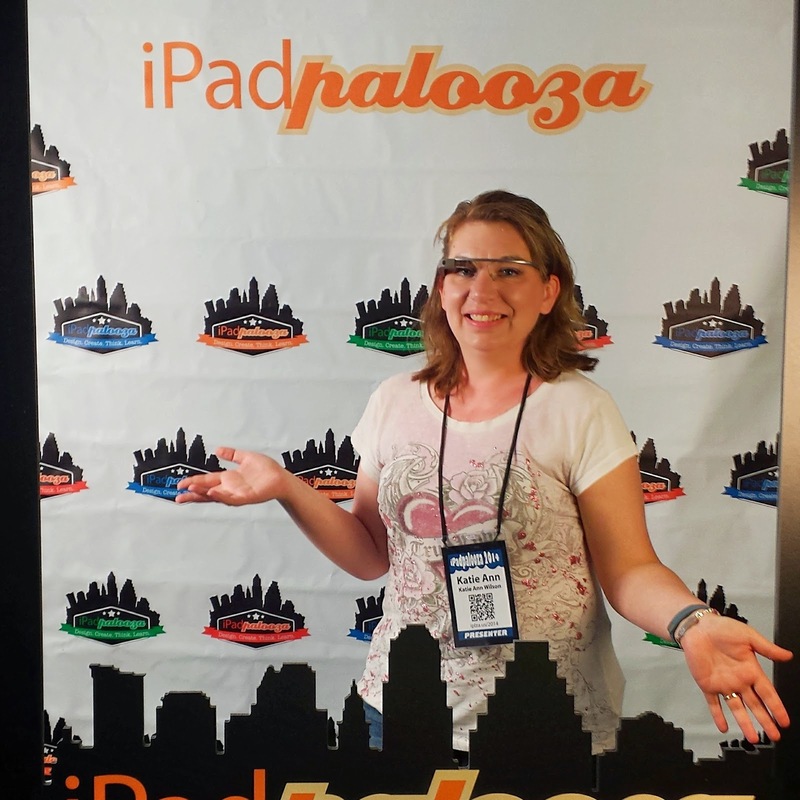 This was the 3rd year for iPadpalooza and I foresee that there will be many more to come. One of the items that was added to iPadpalooza was a student film festival. This really got my attention and would like to try something similar with my students since we are one-to-one with iPads with our 7th and 8th grade students and our 5th and 6th grade students have access via iPad carts.. Hosting a student film festival has great potential to connect students with the community, for students to create something amazing and is seen by more than just the teacher. My goal for this conference was to make connections and to learn how others go about teaching Coding/Programming in their classroom. I attended several session on this topic along with a few on how to create an app. Below you will find my notes and resources from the conference. One of my favorite things to learn about didn't happen in a session but out in the parking lot. Coming from a small town in Kansas I've only seen and heard about food trucks from television. I got the biggest kick out of the food trucks, and the food was AWESOME! Coming soon .... Photo slide from my trip to iPadpalooza. 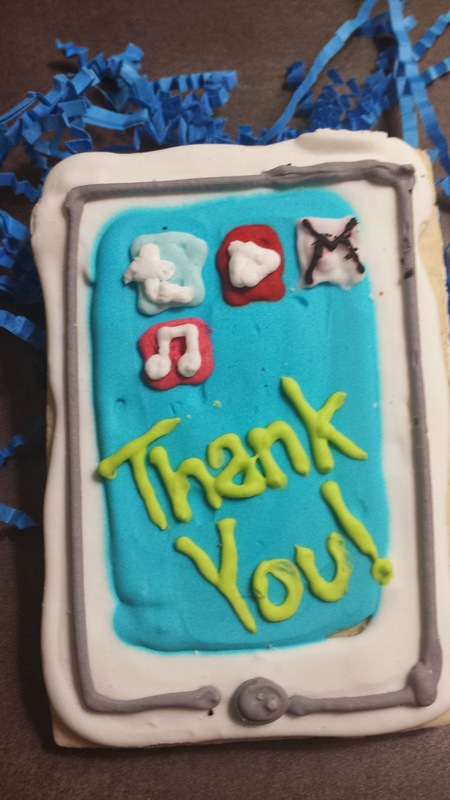 Thank You iPadpalooza crew for a wonderful time, cookie, food, and a great conference! iPadpalooza is a conference for educators located in the beautiful Westlake High School in the greater area of Austin Texas. I swear the entire Liberty Middle School can fit in one of their wings. There are educators from all over the world here at iPadpalooza. I had the privilege of meeting educators from Australia and Canada among the wonderful teachers of Texas. I had the chance to present Creating Global Connections with a Global Project. This past year I launched a global project called the Global Digital Scrapbook Project 2013-14. I shared how I launched my project along with ideas of other global projects. I did make a Edmodo group and if you would like to receive the resources I've shared along with making connections with educators feel free to join the group. 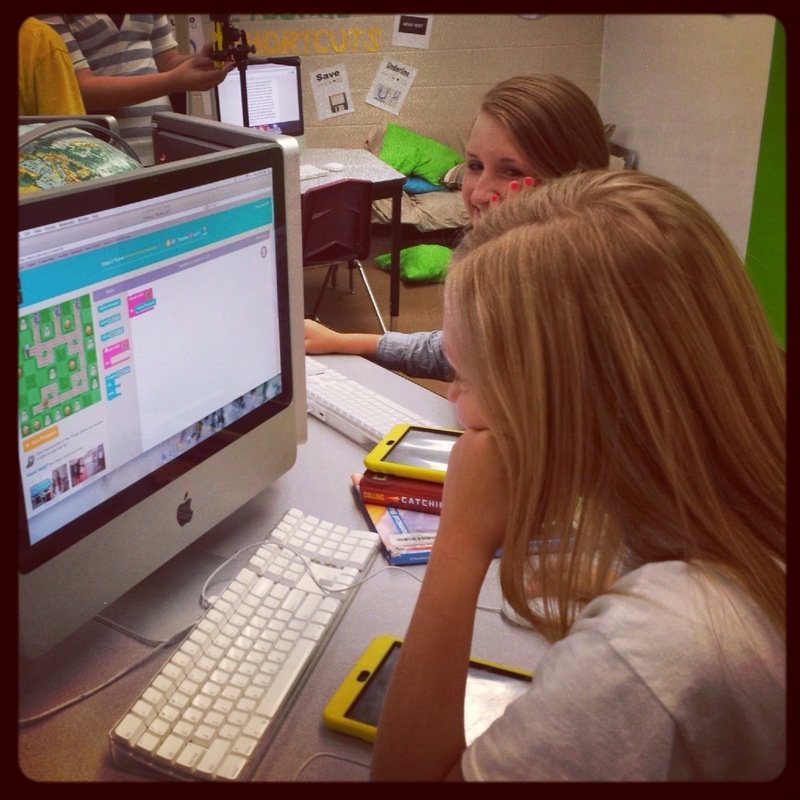 One of my session I attended while at iPadpalooza was Why Kids need to Code. It was great to hear about the tools other educators are using to teach kids of all ages to code. I plan on attending more sessions on this topic while I am at iPadpalooza. Edcamps are a great way to connect and share with other educators. EdcampKS was a great boost I needed to help me organize my thoughts and prepare for the next school. 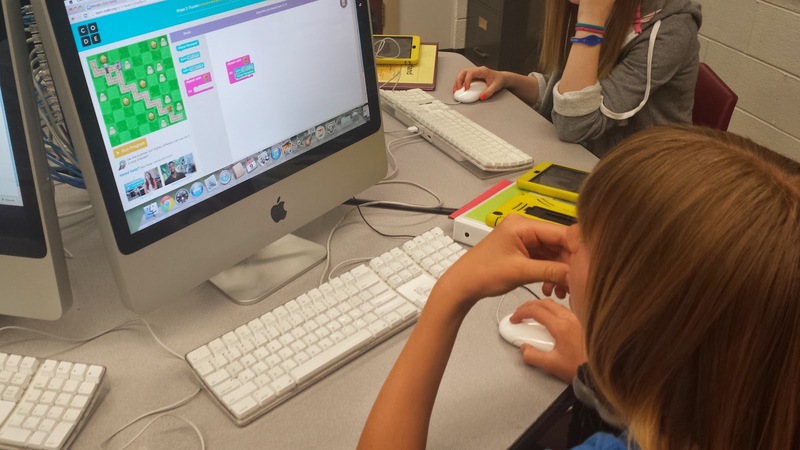 I really needed to hear and see how other teachers incorporate coding skills in their classroom or camps. I also loved learning about new apps and the different ways others use them in their classroom. I did have the chance to share on some of my favorite topics. I introduced Edmodo to several teachers, while helping a few learn additional ways to use Edmodo in their classroom and as a delivery system for professional development. 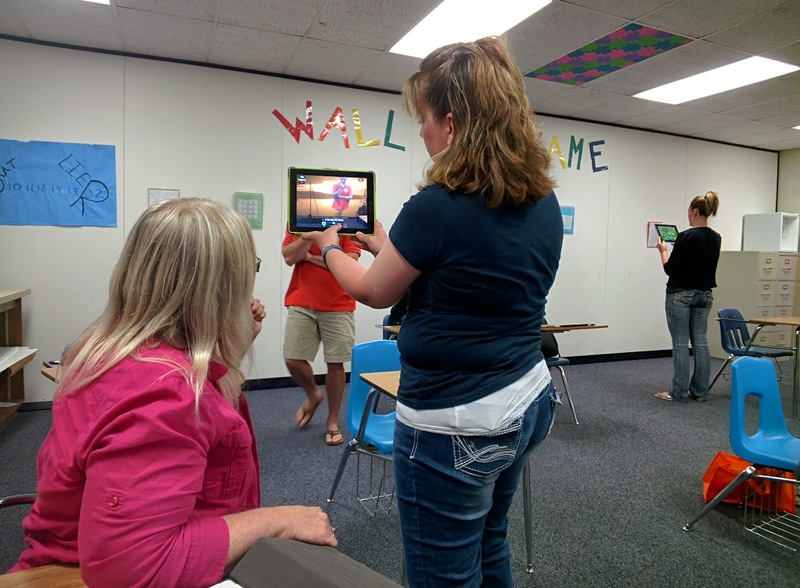 I brought several Augmented Reality triggers for teachers to try out along with some tools to create their own Augmented Reality. I think the most fun was sharing the green-screen app Veescope. The teachers had a blast creating their own green-screen effect video clip. Since Edmodo is a great tool for the classroom and for professional development I created a group inside Edmodo just for edcampKS. In this group you will find the apps I shared, along with the printable triggers, and resources. You can also connect, share, and ask questions within the group. Having a group in Edmodo is a great way to keep the conversation going. If you get a chance you should participate in an edcamp near you. The cost is just right, FREE! edcamp Wiki - Find an edcamp near you. 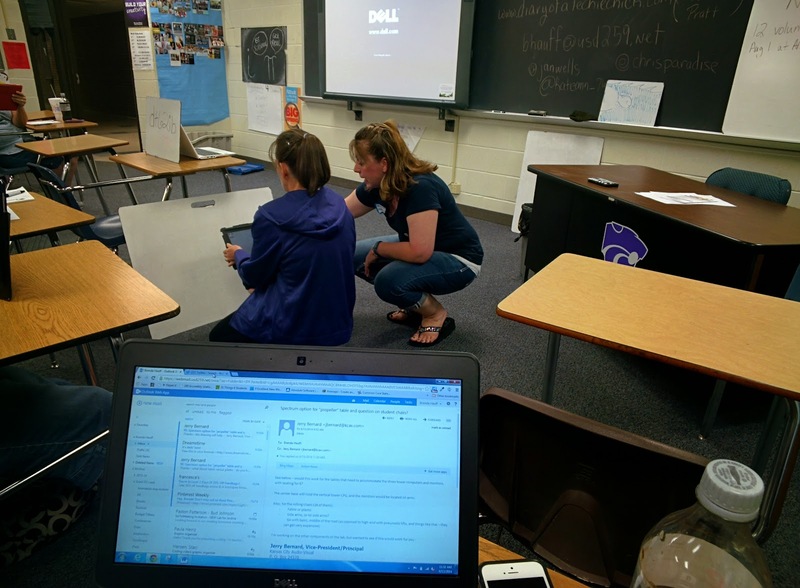 Photos from edcampKS - Several photos were taken with Google Glass. I will be presenting this year at Podstock on July 17th @ 3:30pm on How to Become a Superhero in Your Classroom with AR (Augmented Reality). I will have tons of different kinds of Augmented Reality Triggers you can try. Some of the triggers are for younger children while others are for the middle to high school age students. 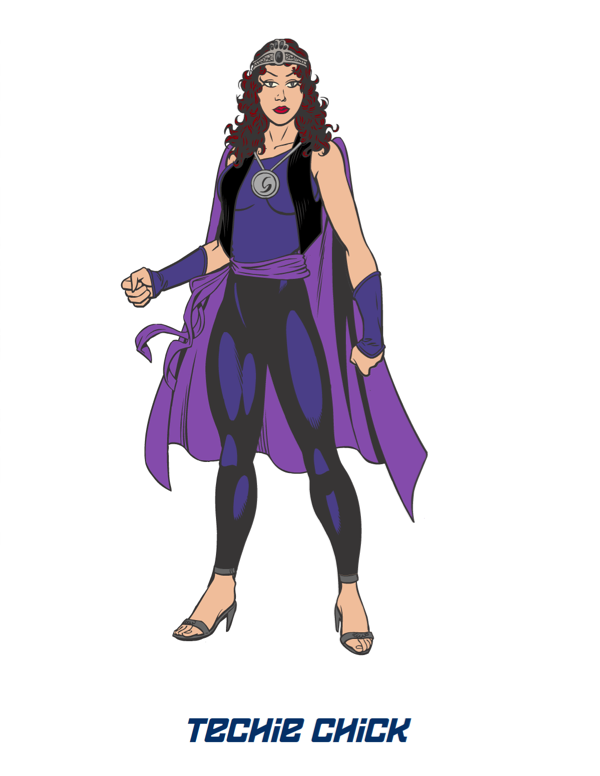 During the session I will become your Superhero and teach you how to create our own Augmented Reality in as easy as 1, 2, 3. Click here to see the full schedule for Podstock. 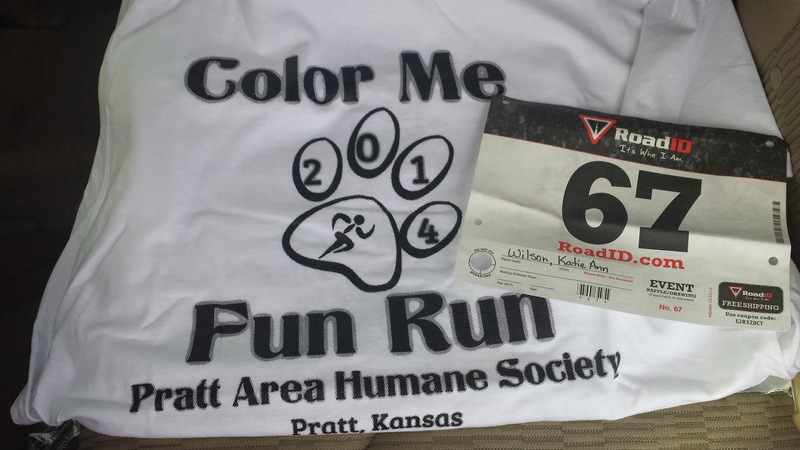 In October of 2013 I challenged myself to participate in a 5k fun run. I didn't run or even jogged in the 5k I just simply walked. Since that challenge I have now not only participated in one 5k but in four 5k fun runs. I stop and think about how I couldn't even walk a block without having to stop and catch my breath and now I am participating in 5k fun runs. I am not really competing in these 5k runs. I am just making sure I finish. I know I will not come in 1st or even in 10th place. I am normally at the end if not the last one. Sometimes the finish line has been taken down and the signs are being picked up, but I make it all the way to the end even if the end is walking to my car. I am doing these challenges for me, and maybe one day I will even jog a little, but for right now I am happy walking one step at a time. I enjoy putting on my music and walking the path that has been picked out. My husband has walked with me a few times to keep my company along with my daughter who cheers me on. The 1st 5k I participated in was a family event and we all walked it together. My family knows the struggles I have faced and the challenges of just walking I have had to over come. It means a lot to know that they are in my corner cheering me on. I encourage you to take the challenge of participating in at least one 5k fun run. If you can't run or jog just walk. The money goes to a good cause and you never know you may just enjoy the walk. Teaching is a passion of mine. Teaching technology skills to other educators and students is a mission, passion, and a desire of mine. I was recently asked if I would develop online course to teach a variety of technology or 21 Century Skills to other educators. Without hesitation I agreed and quickly started building my 1st course. I am really into creating Green-Screen projects with my students so I couldn't think of a better course to develop first. Since creating Green-Screen projects can be as basic as possible to as complex as you want it to be I decided to create a handful of course designated to building different skill levels of Green-Screen projects. The 1st course will give you just the basics. You will learn how to navigate through the app I use with my students to create these projects. I will walk you through how to set up the app, add your background images, and finally record. The next course will go more in-depth with the app. You will learn how to use more than one background while recording and how to focus for example along with many other options within the app. The 3rd course will include how to take your recordings and use them with a video editing app. I am also developing courses to teach kids how to code at all grade levels, along with engaging presentations (not PowerPoints or a slideshow), and how to create a connected paperless classroom.